Microsoft’s customer service partner B2X has launched its official SMARTAPP for Lumia phones. The SMARTAPP will help you check Lumia phone components. You can keep track of a device that’s being repaired. Also, you can run a test within the app which checks the battery life of your device. 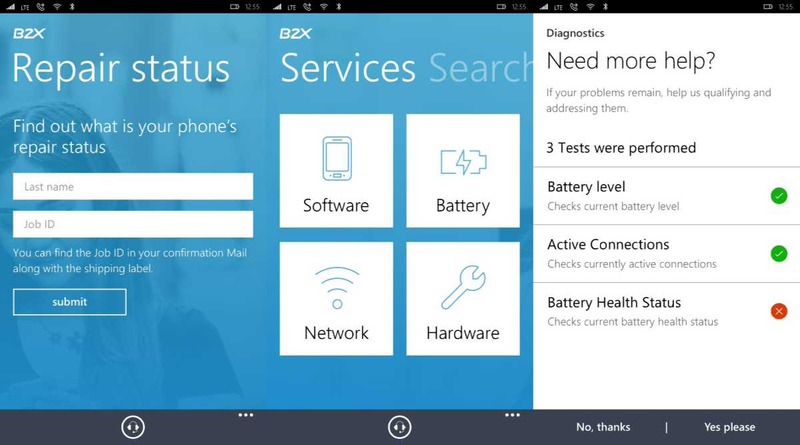 Diagnose your Lumia phone’s hardware and software. Chat with a B2X support agent for immediate help. Request a callback from a B2X support agent. Find the nearest service point. Get all Lumia device information at a glance. Analyse your Lumia’s battery health status. Check your Lumia’s warranty status. Keep track of your repair status. You can download B2X’s Windows Phone app from the Windows Store or from the link below.